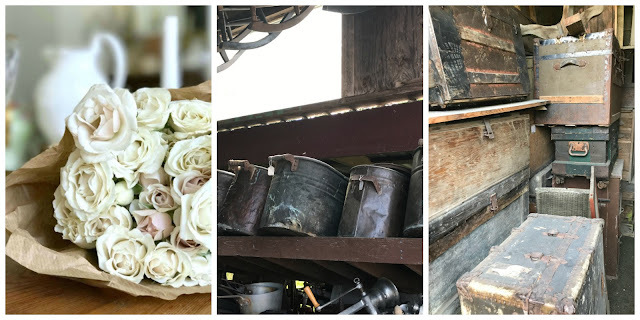 Since the launch of My Soulful Home ~ a year in flowers on Wednesday, comments keep flying in, book keeps getting ordered, friends are telling friends, friends from years past have resurfaced with best wishes and so on. It has been AMAZING and all because of you! If you haven’t seen my post on the book or had a chance to enter the celebratory give away, please do enter. It is easy, just pick your favorite arrangement & let me know which it is in a comment. Do that HERE. 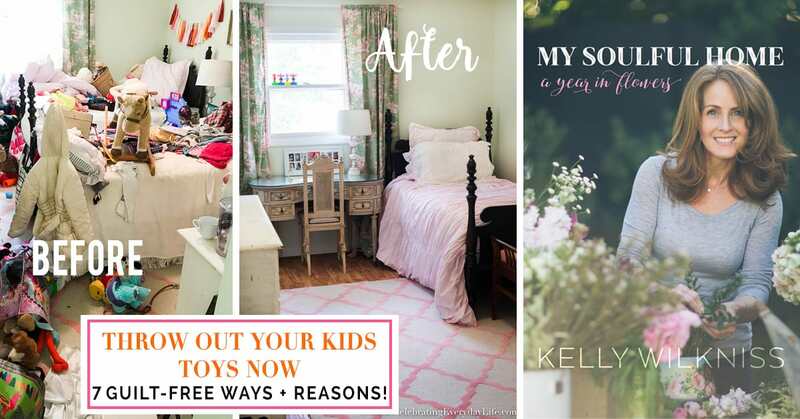 Throw Out Your Kids Toys Now | My Soulful Home Book Tour + Giveaway! Another favorite post was Live, Love, Texas’s No Cook Smores Parfait Recipe…what can I say, I’m a sucker for anything smores and these look so easy and delicious! This post also caught my eye from Interior Frugalista, 12 Helpful Tips on How to Stencil a Wall– I’ve always wanted to try to stencil a wall and these are some fabulous tips! Ready to show us what you have been up to? Well, then ~ Link up and lets party!! Congratulations on your book. What a wonderful accomplishment! Thanks, too, for co-hosting this link party. I keep finding new blogs to follow here. Oh so glad to hear that Susan! Thank you! How exciting – congratulations, Kelly on your book (which is on my Must Buy List). Have a lovely Sunday and thanks so much for featuring my Stenciled Wall Tutorial! Our pleasure Marie – it is a wonderful project. Thank you for linking up! And thank you for putting my book on your “must buy list”! Congrats again on the launch of your book!! And thank you for hosting the party! !